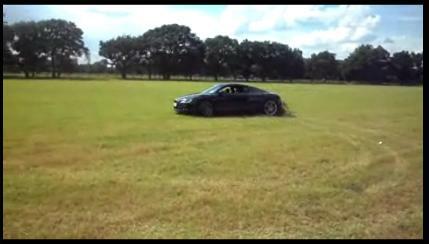 Here's a video of an 11-year old boy messing around in a Audi R8 coupé. Actually driving it, not sitting statically. Anyway, while that may sound a little far-fetched, the minor does a few doughnuts in the four-wheel-drive supercar on wet grass, in a calm, controlled manner. Just for the record, it's illegal for a minor to be behind the wheel of a vehicle unless on private property so we assume he's on private land and the R8 is rented.